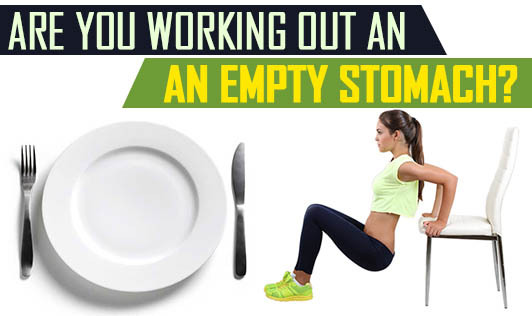 Are you working out an an empty stomach? Do you want to benefit the most out of your workout session? Then eat the right foods before your workout. Although you may be tempted to skip meals before your workout, skipping meals is really a bad idea as it causes low blood sugar levels, light - headedness, fatigue and ultimately, a poor workout session. Pre- workout meals play an important role of fueling your workout and maximizing the efforts during your session. Having said that, eating the right foods before your workout is equally important. So, here is a list of the best foods you can eat within an hour before you head to the gym. Banana- This "Natural Energy Bar" is loaded with carbohydrates and potassium, and is an excellent pre- workout food. Carbohydrates in banana provide instant energy, and potassium maintains nerve and muscle function. Eat a medium sized banana 30 minutes before you go to the gym. Oats- Rich in Carbohydrates and fiber, oats slowly releases glucose into the blood stream and keeps your energy levels consistent throughout your workout. They also contain B complex vitamins which convert carbohydrates into energy. You can take one cup of oats about 30-60 minutes before your exercise. Whole wheat Bread- A slice of whole wheat bread is enough to keep you active during your workout. Top it up with a little jam or honey for instant energy or eat it with eggs or a couple of chicken slices to increase your protein intake. Fruit smoothies- Rich in Carbohydrates and good quality proteins, smoothies are easy to consume and are rapidly digested. Blend ½ cup of a fruit of your choice with ½ cup yoghurt or milk and have it before your workout. Paneer and fruit- Like smoothies, paneer and fruit also provide protein and carbohydrates and when taken together, is an excellent pre- workout food. You just have to sauté or grill the paneer on a non stick pan and eat it along with a fruit. Sweet potatoes- Sweet potatoes are not only rich in carbohydrates, but also contain vitamins, minerals and antioxidants. Sweet potatoes provide energy and protect cells from the wear and tear of exercises. Boil or roast one medium sized potato and have it plain or with yoghurt or curd. A proper workout meal will enable you to get the most from your workout. So, definitely take one of these pre workout meals before heading to the gym.